The Church gives to its people the period of Holy Week as a solemn time to reflect on the suffering and death of our Lord Jesus Christ and to prepare for the celebration of his resurrection from the dead. 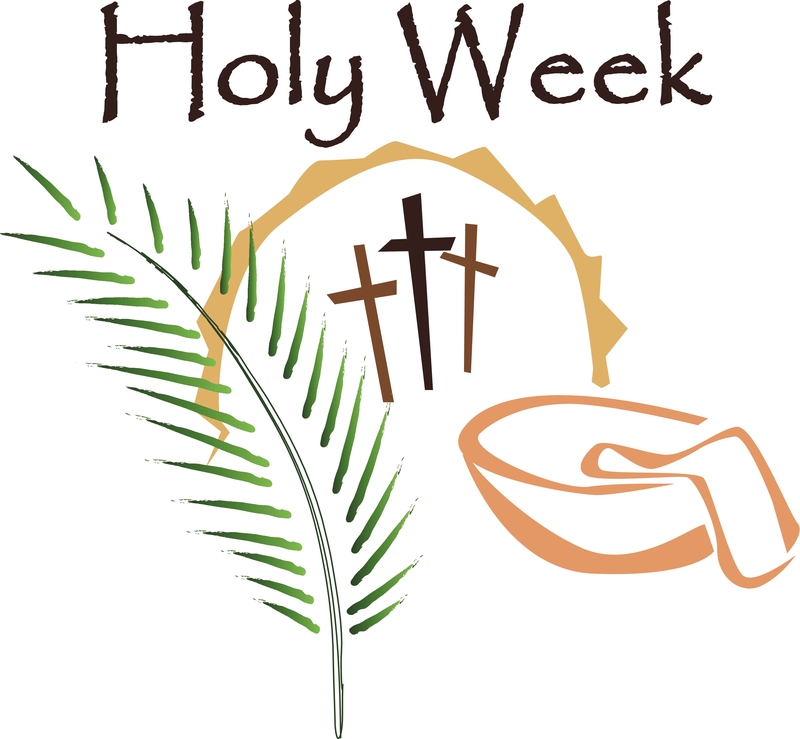 The origins of Holy Week are found in the practices of Cyril, Bishop of Jerusalem, who died in 386; fortunately these practices were witnessed and recorded by a pilgrim nun named Egeria. As pilgrims poured into the holy city for their baptism on Easter Sunday morning, Cyril would lead them out to sites that were significant to the events leading up to Golgotha. Many of the liturgical celebrations of Holy Week reflect the liturgical customs of the Church in Jerusalem in the fourth and fifth centuries. These liturgies were intended to help the people of the city spend a more intense time of walking with the Lord. The various sites associated with the last week of our Lord’s life became focal points for the devotions of the faithful. The word holy means “set apart,” especially for the worship of God. There are many ways in which we can set this week apart to worship God—by reading the scriptures appointed for the days of Holy Week at home with our families and friends and by participating in the liturgies that recall the events of this week. During the year we are given opportunities to slow down our activities and to enter more fully into the drama of redemption. Holy Week is the opportunity during the church year to live out the mystery of salvation. Full participation in Holy Week will go far in preparing us to join in the alleluias of the Easter Feast, giving us a deeper sense of the riches of salvation in Christ Jesus. Bishop Cyril knew the importance of the Christian story in forming a people, and he moved it right into their lives by involving them in experiences of drama, worship, and prayer during Holy Week. Today, we, too, can become pilgrims with the singing of hymns and symbolic actions and dramatic readings. Offer opportunities and encouragement to take part in prayer vigils, preparing a Maundy Thursday meal, participating in foot washing, and moving from darkness into light through the biblical readings of the Easter Vigil. This entry was posted in Easter, Education, Holy Week and tagged Egeria, Holy Week, Maundy Thursday, Palm Sunday. Bookmark the permalink. Great post Sharon. Holy Week is a time to contemplate and perpetuate Jesus Christ’s sacrifice to mankind. Jesus died and resurrected from the dead. His agony and crucifixion is a reminder to all of us. Thanks for this insightful passage on Holy Week. It’s important to understand the reason and cause of Holy Week first.